MAF has been assisting with disaster relief flights in the wake of Cyclone Idai. The powerful tropical cyclone hit the coastal city of Beira, Mozambique. Early reports say there are over 100 deaths and many thousands seriously impacted by this cyclone. 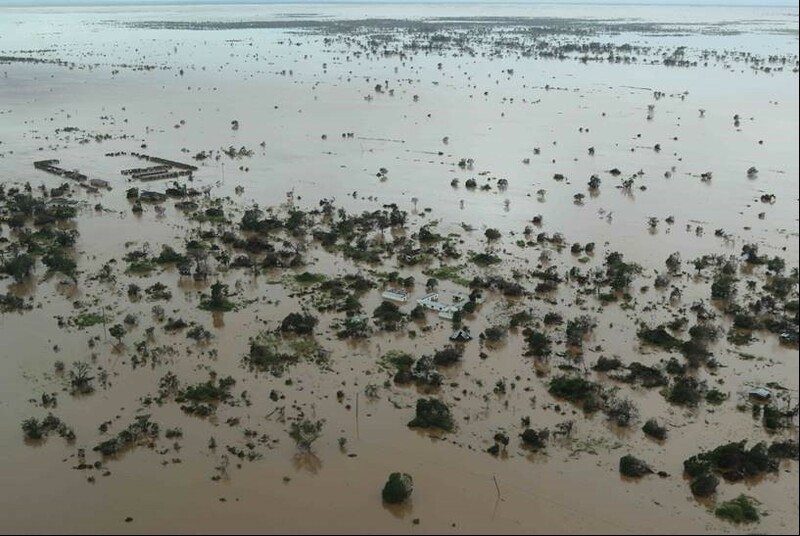 On March 14th, Cyclone Idai made landfall at Beira City in Mozambique bringing high winds and torrential rain into an area that was already struggling with flooding. The storm knocked out communications in Beira as well as damaging roadways and access points hindering response efforts. Widespread damage has been reported across the city with structural damage to health and education facilities including the city’s main hospital. It is feared that rural areas surrounding the city may be particularly hard hit. 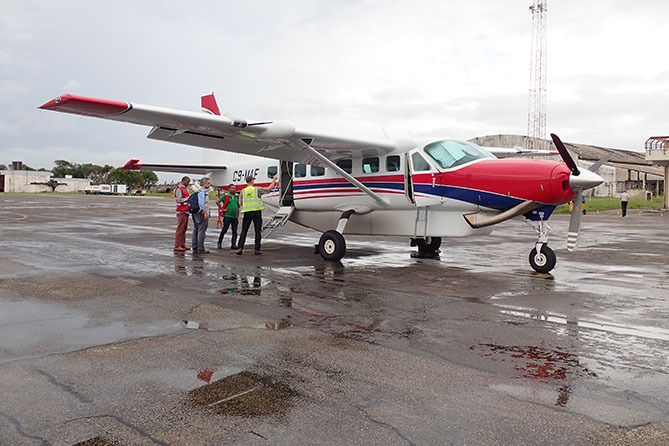 On Saturday, MAF carried out a survey flight and was able to help Mercy Air and the Mozambique government disaster response management agency, Instituto Nacional de Gestao de Calamidades (INGC), deliver two loads (1400 kg) of rice and flour from Caia to Marromeu. On another flight, MAF also picked up three INGC officials in Caia and flew them to Beira. On March 18th, MAF conducted an aerial survey flight in cooperation with INGC and World Food Program along EN6 (the road from Beira toward Chimoio) and then south to the Buzi River. The survey revealed significant damage to the EN6 roadway, with entire sections washed out by flood water, other areas still under water, and bridges damaged or gone. The flight continued south into the Buzi river basin, an area where no information was yet known. This area has deep and widespread flooding with entire buildings under water and people stranded on rooftops. Another survey flight is planned for today (March 19th) at the request of INGC as well as providing logistical support and assistance to Mercy Air and their helicopter rescue operations. There were weather issues yesterday and rain is projected for the next couple of days. Please pray this doesn’t complicate operations further. Please pray for the people affected by the cyclone and flooding, and for MAF staff and partner organizations as they assess the need and get help where it is needed.